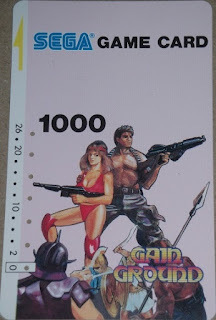 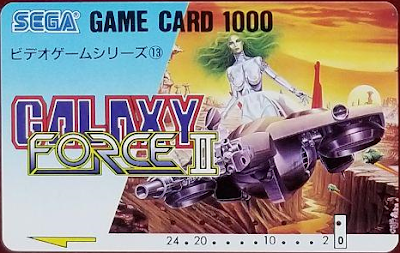 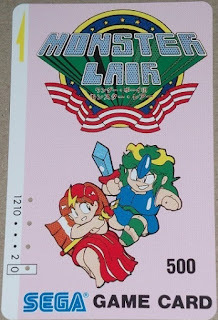 Western arcade gamers were accustomed to overflowing pockets of loose change, but Japanese arcade centres had a more elegant solution: Game Cards. 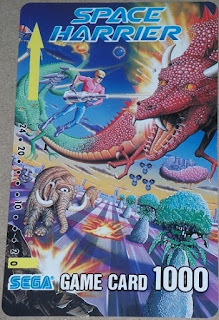 These were magnetic cards, pre-loaded with credits and read by a card reader attached to the arcade cabinet. 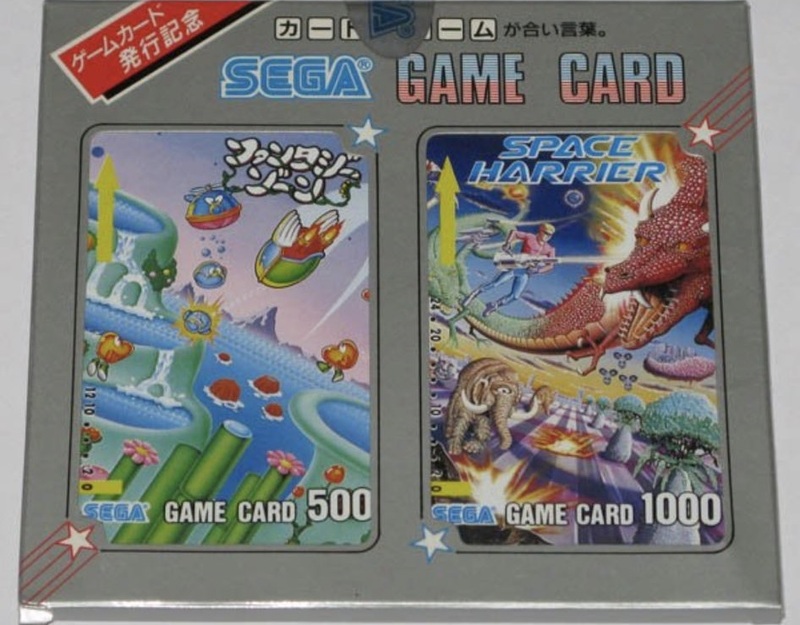 As the card was used, the reader punched holes to denote the number of credits used. 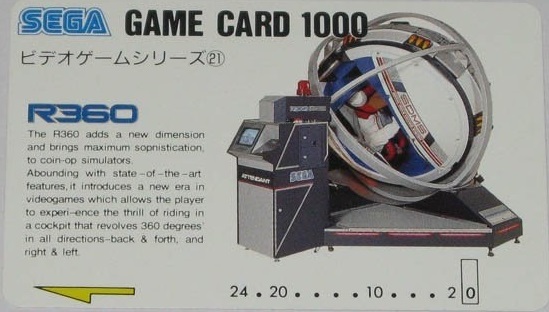 Two types of card were common: 500 cards provided 12 credits and 1000 cards 24 credits. 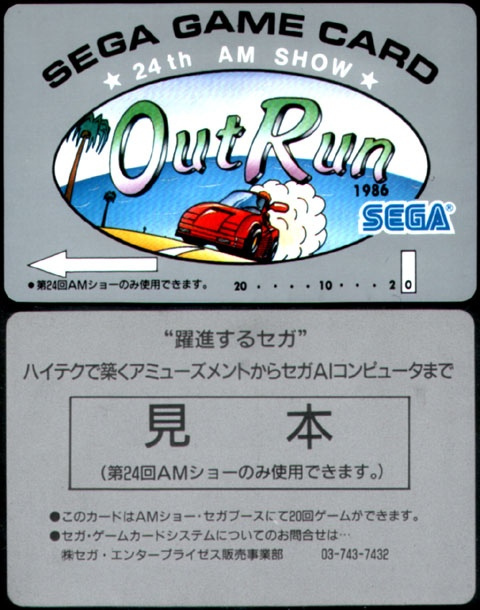 Most games were set to 2 credits per play. 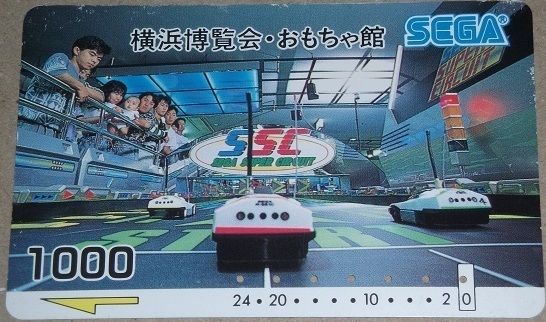 For ¥500 you therefore gained a credit and a collectable card to keep. Cards were branded by game, but could be used with any compatible machine. 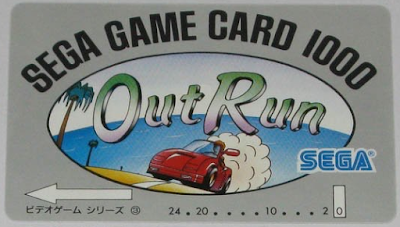 It was common for game centres to add their personal branding to the cards and many variants exist. 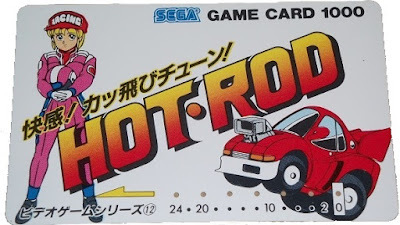 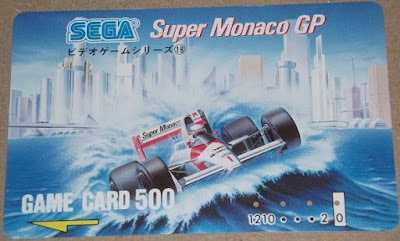 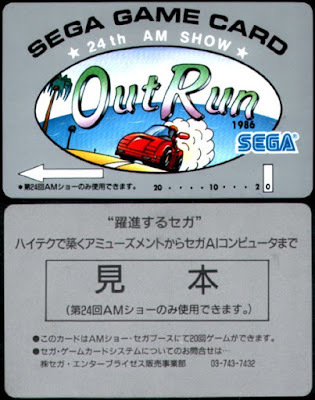 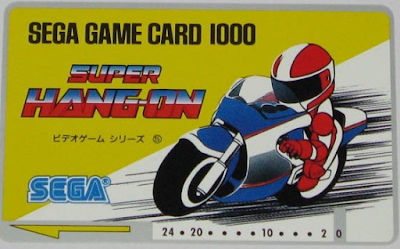 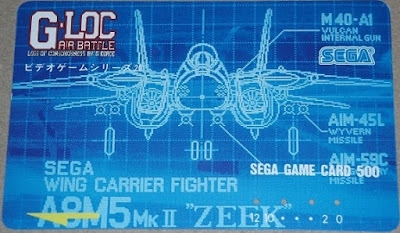 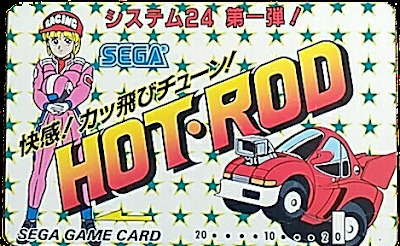 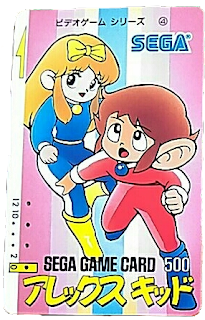 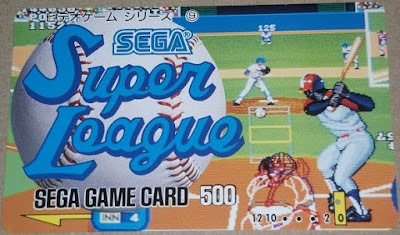 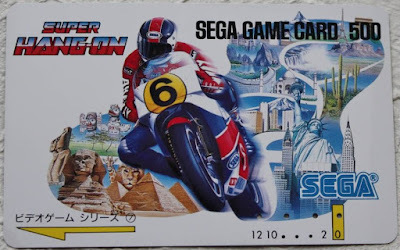 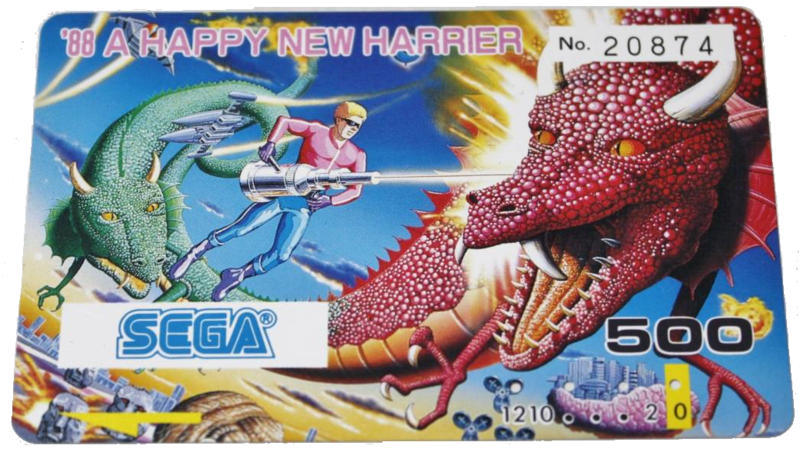 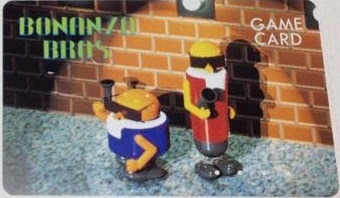 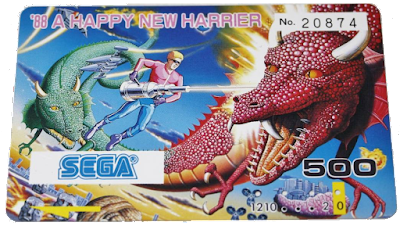 The Sega cards were numbered as follows. 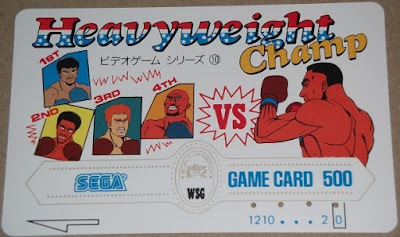 I'll complete missing entries as I find out more information. 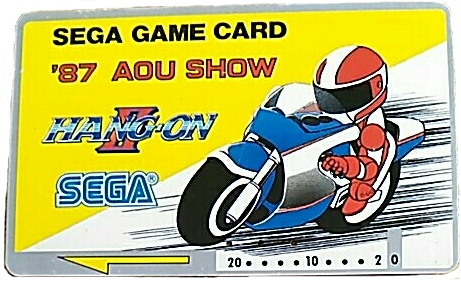 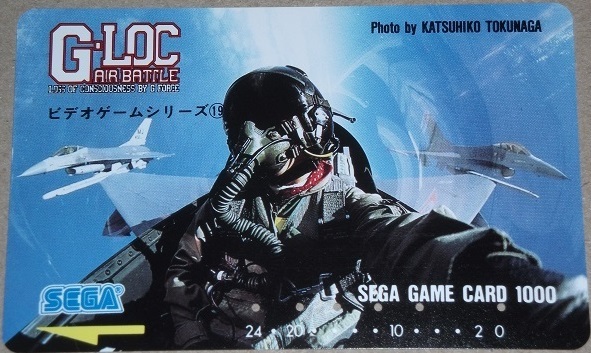 Cards were also available exclusively at the AM and AOU trade shows from Sega booths. Some example follow. 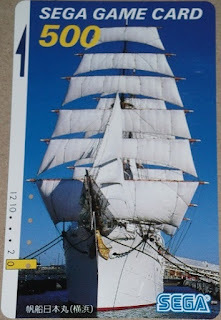 Special thanks to Sean Tagg for helping me with images and information for this post. 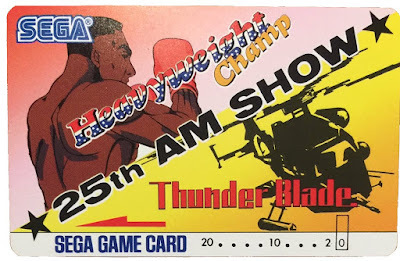 Don't let this man spend any more money on game cards. 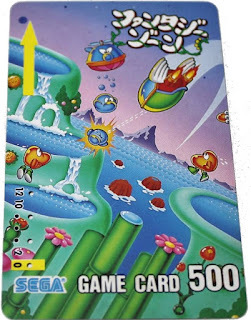 Or at least donate him some for free!